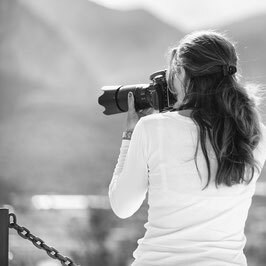 As a freelance photographer I'm active at the Costa Blanca, but I also take orders from the Netherlands. For me it's important to get involved with a lot of different people and places. That keeps me broadly oriented, creative and inspired. I like to help companies present themselves in the best way posible by my pictures. Pictures for your company website, leaflets and other exposure possibilities have to fit your image. Furthermore I love to do every kind of shoot with regard to people during every special moment in their lives. Would you like to know what I can do for you? Please contact me. I'm happy to photograph anywhere at any time. I have a studio in Altea but often enjoy working in your own home, company or any of the wonderful locations the Costa Blanca has to offer.